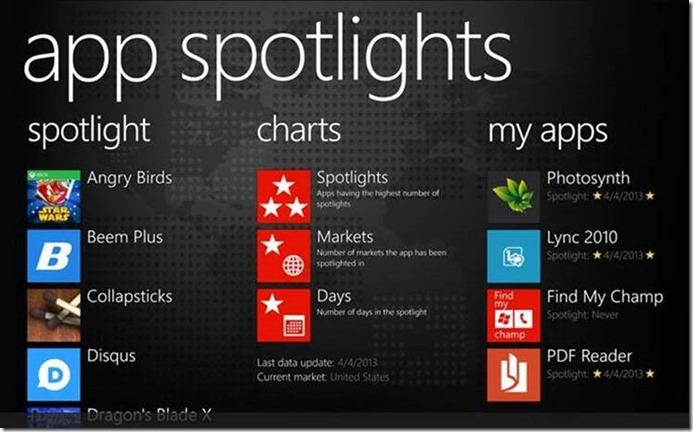 I’m pleased to announce the availability of App Spotlights. As a Windows Phone developer, I can tell you that one of the best gifts a developer can receive is when one of his apps is in the spotlight. First, it’s an honor from Microsoft to be selected and secondly, it has a huge impact on downloads. Currently, there is no easy way to know if an app is featured, as there are 121 markets. The main feature of this app is to notify the developers with a live tile notification and a toast when an app is in the spotlight. 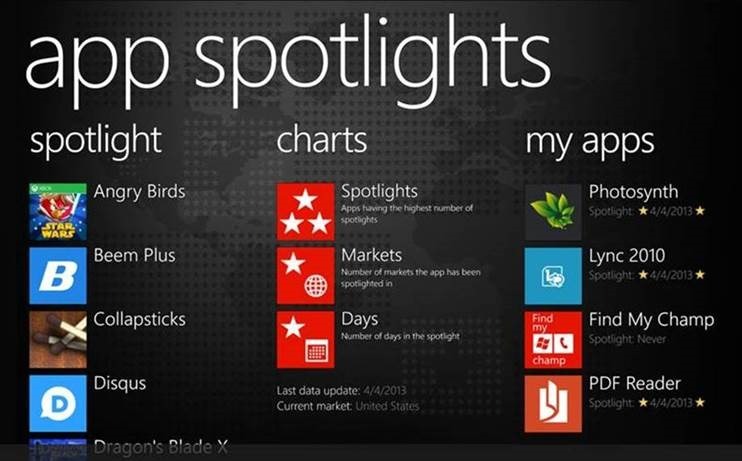 App Spotlights is a perfect companion for Windows Phone app buyers and an indispensable tool for developers. ★ Access to more than 2400 spotlighted apps from all 121 markets every day. ★ Have more confidence when buying a spotlighted app. ★ Consult three charts to find out the most spotlighted apps in the marketplace. 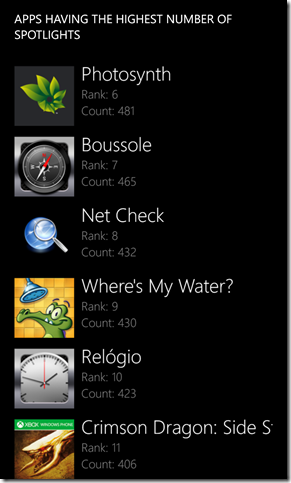 ★ Navigate faster than the built-in Store app when looking for spotlighted apps. ★ Get notified when your apps are in the spotlights in any markets. 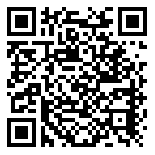 Share the news with potential buyers on your favourite social networks. ★ Obtain a detailed history when your apps were in the spotlight in each market. ★ Analyze the impact on your downloads when your apps are in the spotlight. ★ Track the visibility of your competitors. 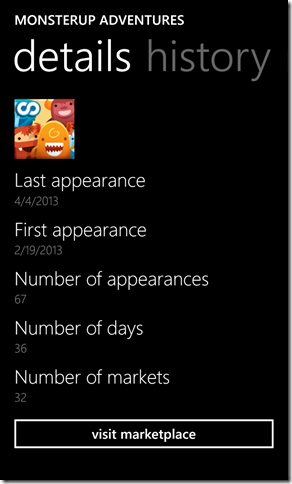 ★ Toast and Live Tile notifications. ★ Lock screen information from App Spotlights can be used. ★ Fast loading and resume. Note: Spotlight statistics have been calculated since February 17th 2013.